Give your kids the animal facts they love to learn while you address standards you need to meet when you download the free resources from the International Fund for Animal Welfare. You’ll be ready for timely animal celebrations in May, including Be Kind to Animals Week, International Migratory Bird Day (May 9), and Endangered Species Day (May 15). Plus enter for a chance to win a $500 Amazon gift card! Click here! Do your ages 8–12 students wish they could talk to animals? In Ferals, the first book of a new middle-grade trilogy, Caw is a boy who has the power to command crows. Now there’s a sinister threat—the feasome Spinning Man—and Caw’s city is in danger. Caw must quickly master abilities he never knew he had to defeat a darkness he never could have imagined. Click here to learn more and to read a sample! I haven’t forgotten that Teacher Appreciation Week is also the first week in May. Here’s a chance you won’t want to miss. In the Lakes hore Teacher Appreciation Sweepstakes, Lakeshore Learning is giving away 100 prizes to teachers, including Lakeshore totes, aprons, and e-gift cards. Lakeshore is dedicated to creating innovative educational materials that spark imaginations and foster a lifelong love of learning. The sweepstakes ends at 3 p.m., PST, on May 8, 2015, so enter now! Farmers Insurance also wants you to know you’re appreciated and is giving away more than $1 million in educational grants this year through its Thank America’s Teachers program. There are 180 grants of $2,500 and six $100,000 Dream Big Teacher Challenge grants to support innovative educational programs. Learn more at ThankAmericasTeachers.com. Did you know you can sign up for a free 30-day trial of Essential Skills software? For grades K–6, the software covers reading/language arts, math, science, geo graphy, and ESL/ELL and includes a new Common Core reading and math series. Its integrated assessment adapts content to target skill deficits, so it’s ideal for intervention and remediation. You can get the software for iPad, Android, Chromebook, Pc, and Mac. Click here to learn more. Don’t forget to post a comment for your chance to win the three books! All the books look good but Monty’s Magnificent Mane looks exactly what my students need to help with community building. 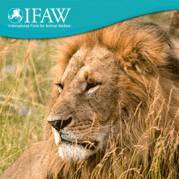 I plan on using the IFAW resources in my classroom very soon. I love them. Anything with animals grabs my students attention. The Ferals looks like a book my students will enjoy as well. Love the animal books and of course I adore the IFaw resources. They tell you things that I dont know so not only are the kiddos learning but so ma I.
I am a big fan of the IFAW and use their information frequently in my class. Our classroom this year is wild animal themed. The three books you are offering would be a wonderful addition to our class library. 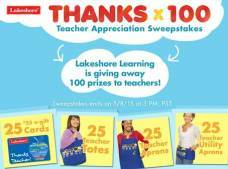 I just entered the Lakeshore Teacher Appreciation giveaway. The Ferals book looks really great as well. I can see so many young male readers enjoying that series. I’d love all the animals books and the IFAW resources because we do a whole unit on researching animal facts. I chose to enter into the Lakeshore Teacher Appreciation Sweepstakes and will hopefully win. I am also an animal lover with 3 cats and 1 dog in the house there is never a dull moment. So many choices, the Birds of prey sounds enticing, I collect and use the IFAW resources, and who doesn’t want a free trial and prizes. I will forward the Ferals book to the fifth and sixth grade teachers for perusal. I chose to enter the Birds of Prey and the two other animal books. We are always in need of books in our classroom! I hope I win! I would love to a grant from Farmers Insurance! I love Birds of Prey! 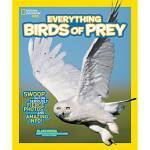 The Birds of Prey book looked awesome and I loved the variety of information on the IFAW site! Thanks for sharing! Ferals will be a hit in my classroom.